This assumes a multi-level Class 3 | CAT 1 water loss. 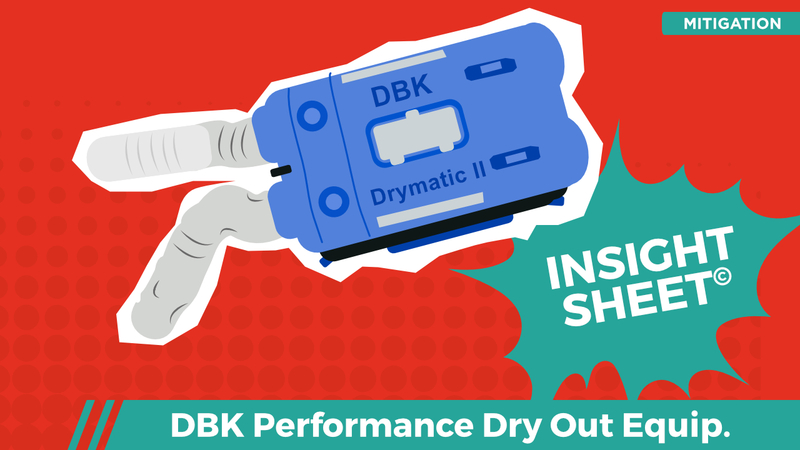 DBK performance drying equipment was exclusively employed (Power Distribution Boxes notwithstanding). The project required extensive remote monitoring. The sensors that were deployed on the second level were unable to connect to the primary gateway located on the first floor. In response to this, a secondary gateway was deployed upstairs, flanked by 6 auxiliary sensors. Ultimately the performance drying was successful in its efforts to mitigate additional damages and manage the overarching claim cost (assumes a substantial reduction in the repair scope). 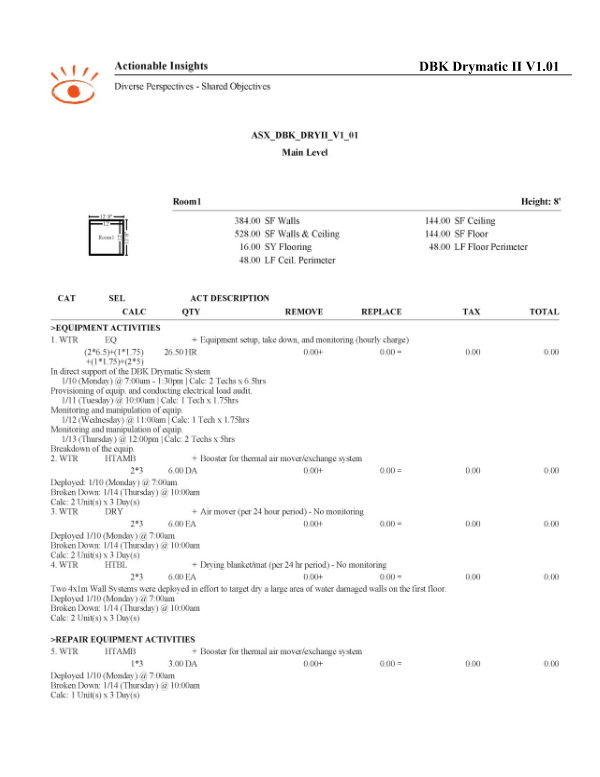 This Insight Sheet exists to clarify how one might invoice for a DBK Drymatic System. The AI Board remains keen to highlight the fact that certain Wall/Floor Mats Systems require varying quantities of Boost Boxes & Air Movers, please see the DBK Quick Reference Guide. Have you have had a look at the new equipment that they launched in Q2 2017? Yes, we are working with DBK and Xactware stakeholders to update the sheet for the 2018 publication.